Wed., Jan. 30, 2019, 4:13 p.m.
BOISE – A judge has ordered the Idaho Department of Corrections to release some of the information that was redacted from thousands of pages of documents detailing the state’s execution preparations and procedures – including the name of one lethal injection drug provider – but prison officials may appeal the ruling. Fourth District Court Judge Lynn Norton said Wednesday morning that she still needed to carefully review hundreds of additional documents before she can make a decision on the remaining redactions. University of Idaho Professor Aliza Cover, who studies the death penalty, sued for access to the records under Idaho’s Public Records Act after the Idaho Department of Correction largely denied her record request in 2017. Cover contends the public interest in understanding how the state performs capital punishment outweighs the Idaho Department of Correction’s interest in keeping such matters secret. 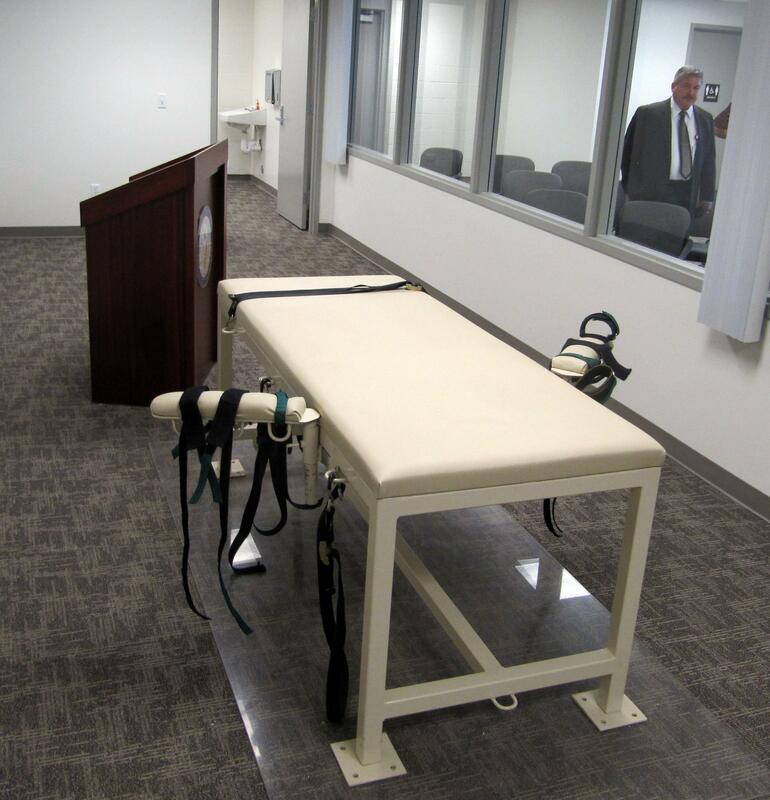 But department officials contend that releasing the information could make future lethal injection drug suppliers refuse to sell the chemicals to Idaho, hindering the state’s ability to carry out executions. Department of Correction attorneys also say releasing the names of execution team members and volunteers could put those people at risk. None of the information the judge ordered to be released has been made public yet in order to give agency officials a chance to consider the ruling and decide if they want to file an appeal in the midst of the ongoing trial. Norton said some of the state’s redactions were reasonable and could remain, including the identities of members of the clergy and hairdressers who were available to give condemned inmates their final haircuts. Both types of volunteers serve as habilitation for the offender, Norton said, and the public interest in preserving a measure of basic human dignity and comfort for an inmate awaiting execution outweigh the public interest in knowing the names of the people performing that service. The judge also said she wouldn’t order the release of execution team member names, the routes they take to the prison or the specific times they arrive and leave an execution, because that sort of information could be used to disrupt the proceedings. But Norton did say she would release information regarding a person or business that the state had a contract with to provide the lethal chemicals used in an execution. That person is no longer in the business of providing lethal chemicals to Idaho, and so releasing identifying information does not present a security risk, she said. It was difficult to understand exactly what content the judge was ordering unredacted because only Norton and the Department of Correction officials and attorneys currently know what is under the black redaction marks in the documents. But some of the information the judge ordered released seemed innocuous, such as a log entry noting when members of the news media who witnessed executions left the area. “There are many members of the public – including the media – who would know that they are no longer there,” Norton dryly commented. The trial is expected to resume on Friday. Published: Jan. 30, 2019, 4:13 p.m.